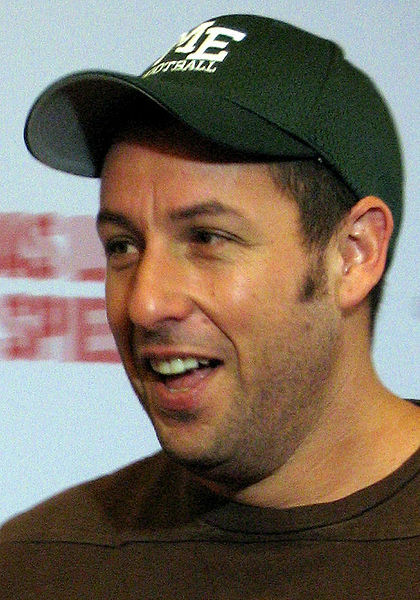 Paris: The United Nations Educational, Scientific and Cultural Organization (UNESCO) is holding an emergency meeting tomorrow to get down to the bare facts on a question that has confused them for some time: whether famous actor Adam Sandler is really Jewish. While Mr. Sandler has made a name for himself with works to include the Chanukah Song, 8 Crazy Nights, and Don’t Mess with the Zohan, this level of proof simply leaves more questions than answers for the fun folks over at UNESCO. The Daily Freier spoke with UNESCO spokesperson Francesca S. about this fascinating development. When the Daily Freier asked UNESCO if there were any other fairly big problems in the world right now that didn’t involve Israelis or J-E-W-S, she paused, looked at us the same way our teacher did when we used to eat paste, and continued her monologue. For its part, Israel reacted with scorn to UNESCO’s move, but in the spirit of compromise, offered to declare Max Blumenthal and Tel Aviv’s Atarim Square as Palestinian. The status of Mr Sandler’s Judaism is due to be voted on early this week by the 21-members of UNESCO’s World Heritage Committee, at which point they will also decide the Jewish status of Jackie Mason, the movie Yentl, North Miami Beach, and Seth Rogen’s hair. Now you can sweat like a local with the “Secretion Tel Aviv” App!